The capital of Iceland is a city called Reykjavik. It’s a fairly modern city – they have electricity and everything. But I’ll tell you something they don’t have… normality. Until 2006 dogs were banned from entering the city, which isn’t exactly normal. So when I first heard of this I was amazed. I couldn’t believe it was true. But it is, and more people should know about it because it’s such a strange story. This is that story. 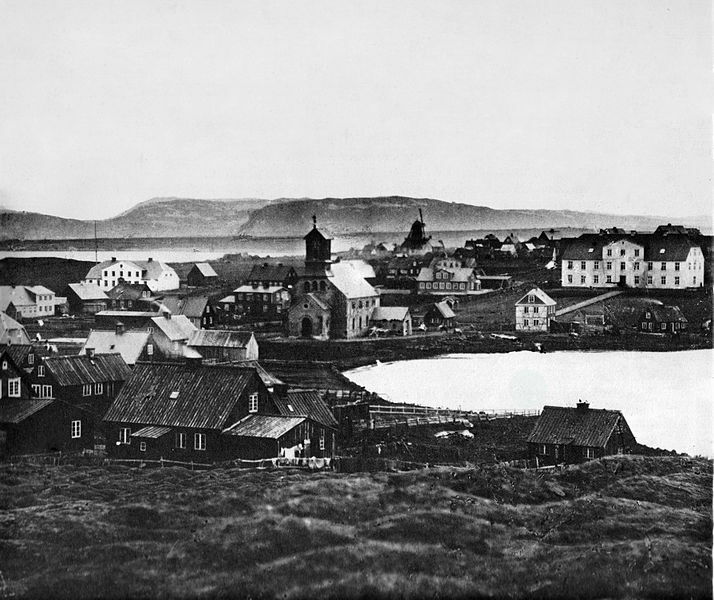 In 1924 Reykjavik was still a small fishing town. But it was the largest settlement in the country and it was clear to local authorities Reykjavik would one day be a large city. As the capital of Iceland with a rapidly growing population. And so it was on this year they decided to make appropriate changes in preemption of Iceland’s first city. For some reason they decided that a city is no place for dogs, and so dogs were banned. The ban was enforced. Anyone in the whole of Reykjavik to own a dog would be ordered to hand it over or face arrest. We can’t know for sure why it was decided Reykjavik would be better off without dogs. But at the time, much of the towns population lived in overcrowded slums, overrun with rats and littered with all kinds of waste. This attracted countless stray dogs, who became quite a problem as they were always loud and always hungry. Just like your mother. 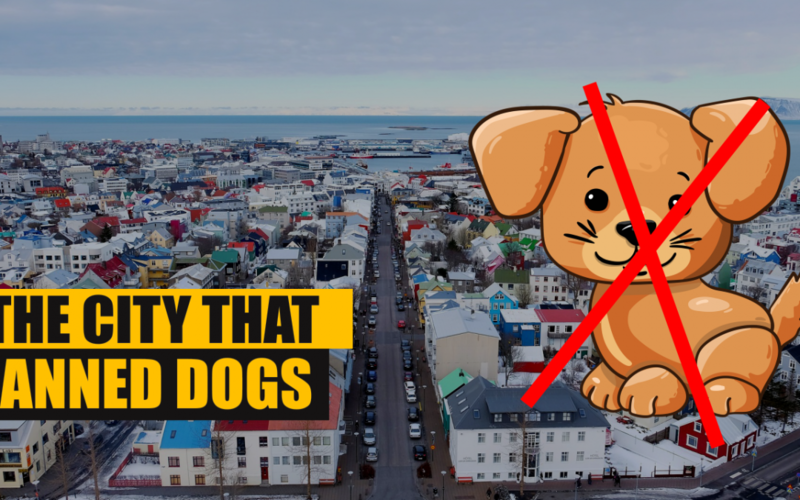 It’s possible the people of Reykjavik just got sick of stray dogs they decided to just ban all dogs. Whatever the reason, authorities made short work of local dogs, driving them into the countryside. 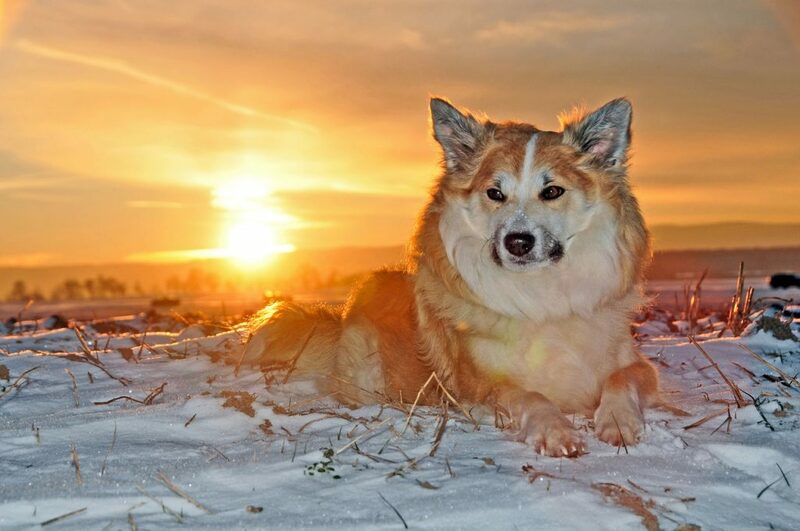 For the next 60 years it was completely illegal to own a pet dog and any stray to enter Reykjavik would be sent away. In one of the worst ever cases of Dogscrimination the city was almost entirely dog free – save for a handful of work dogs who required special permission. Their owners had the permits, not the dogs themselves – they are just not capable of filling out applications. With the streets dog free, cats flourished and Reykjavik came to be known as the city of cats. The situation would remain this way until 1984 when in April of that year the ban was partially lifted following a bizarre scandal. Not long before a man tried to enter the city with his dog, Lucy. When police demanded he hand over the dog he refused and the case went to court. If that man had been an ordinary citizen the case would likely have flown under the radar. But he was Albert Gudmundsson, minister of finance for the Icelandic government. A member of government was arrested for owning a dog and eventually found guilty, being ordered to pay a fine of 58 thousand Icelandic Krona. It evolved into a highly publicized scandal, with almost all of the 27 people who live in Iceland siding with him. In due time the laws were changed, allowing locals to own a dog as long as they had a special permit. However it was only in 2006 that the ban was fully listed, ending 82 years of discrimination against some of Europe’s finest dog people. It would be nice to think humanity has moved past such a thing. But they clearly haven’t because there’s a village in New Zealand currently trying to ban cats. That village is Omaui, a small and remote settlement on the countries South Coast. It’s surrounding area is home to a number of rare birds that local cats keep massacring. So the solution village authorities have come up with is to ban people from buying new cats and simply waiting until they all die out. This might seem like a harsh measure. But when you think about it, cats are fluffy murderers. Every year in the United States cats kill 4 billion birds and 22 billion other animals.